Questions swirl around the latest developments in the story about the RCMP investigation into the UCP leadership contest, and what impact it will have on election timing. Questions swirl around the latest developments in the story about the RCMP investigation into the United Conservative Party leadership contest, and what impact it will have on election timing. Premier Rachel Notley can call the election any day now. On Sunday, she will be officially nominated as the NDP candidate for Edmonton-Strathcona. On Monday comes the speech from the throne. What happens on Tuesday remains a mystery. On The Ledge podcast, provincial affairs reporters Kim Trynacity and Michelle Bellefontaine comb through the explosive political developments of this week, and unravel how they could affect timing of the election call. CBC investigative reporter Charles Rusnell cracked the story of the RCMP involvement in the UCP leadership race investigation. On Friday, CBC News revealed Alberta's election commissioner has turned over to the RCMP his investigation into alleged irregular political contributions to former UCP leadership contender Jeff Callaway. Jason Kenney's 2017 UCP leadership win was tainted by allegations his campaign ran Callaway as a so-called "kamikaze" candidate to attack and undermine Kenney's main rival, former Wildrose leader Brian Jean. Rusnell talks to Kim about the challenges he faced nailing down the story — and going forward, what he's looking at. 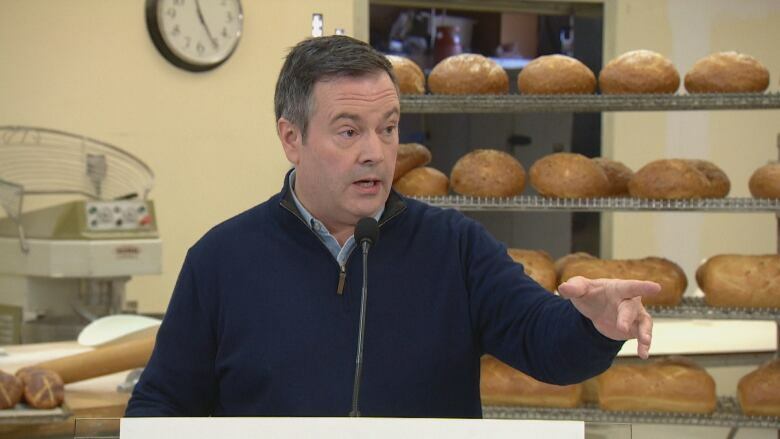 Reporters on Friday confronted UCP Leader Jason Kenney about the investigation during a news conference that was supposed to be about Kenney's labour policy. Instead, most of the questions Kenney fielded were about the investigation. "He was cool as a cucumber," recalled Rusnell, adding that even under pressure, Kenney is a consummate political professional. We'll also hear from Edmonton-Meadows UCP candidate Len Rhodes, who spoke to Michelle at a shopping mall restaurant about the upcoming campaign.